For 20 years, award winning fine artist, Shell Rummel has been designing an extraordinary collection of beautiful Ketubah designs that have a timeless appeal. Inspired symbolic imagery, textural lines and gorgeous color palettes are woven together in a way that is modern and fresh. Each design is artistically represented with symbolic concepts of love, commitment and acceptance in a beautiful and inspirational way. Shell's artwork is the perfect companion to your most important wedding vows. 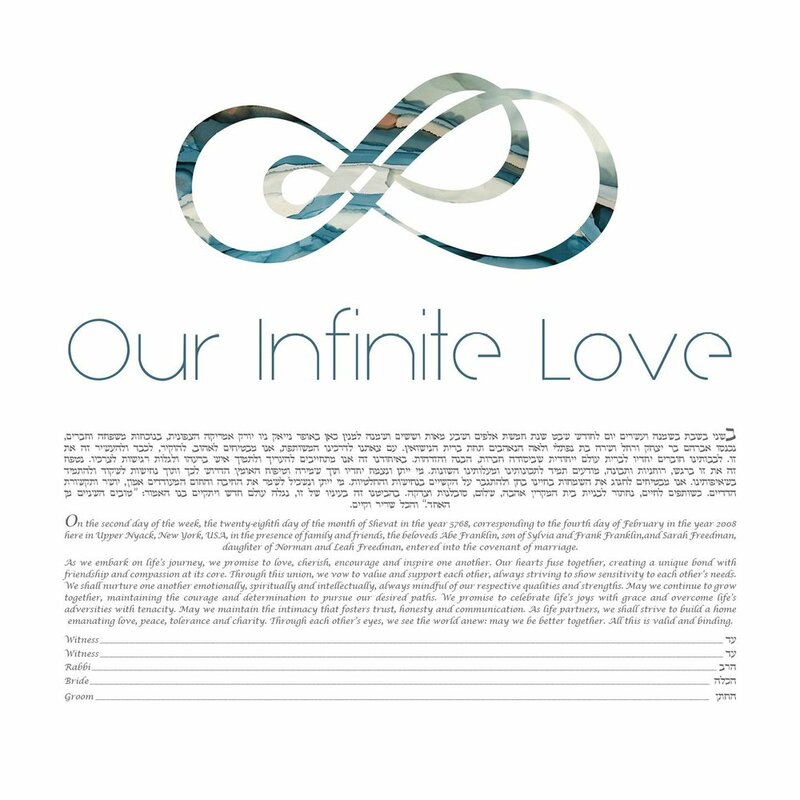 Your fine art ketubah will become the centerpiece of your personal fine art collection.